From Taman Sea Secondary school on your left, keep going straight until you reach a T junction with traffic lights. Turn right and then turn into the shoplots. Sri Siam is facing the main road. 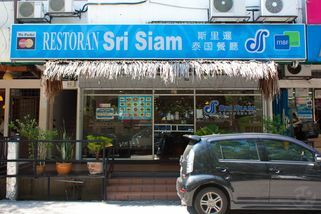 Sri Siam in SS2, which has been around for more than a decade, specializes in Thai cuisine. 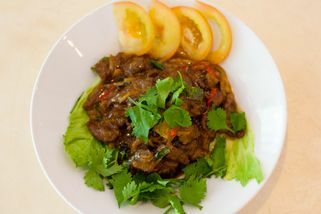 It’s located in the quieter part of SS2, away from the traffic jams and lack of parking spaces in the central area. It’s quaint and peaceful here, with plenty of parking spaces around. 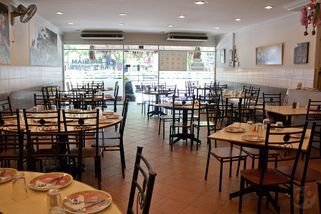 The interior of the restaurant is clean, simple, and minimalistic—there are round tables all around which can accommodate up to 10 people. 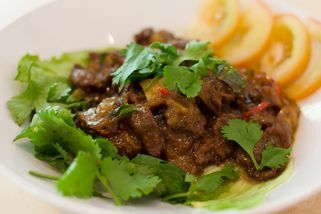 Some of Sri Siam’s signature dishes include: Thai steamed fish, fish cake and Thai spicy beef. 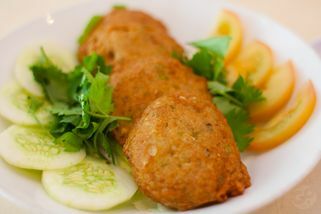 The menu has great variety, so there are many other dishes to choose from. Went there again lately and the food is still decent. I don't remember what the food tasted back in its heyday, but right now it's not bad. 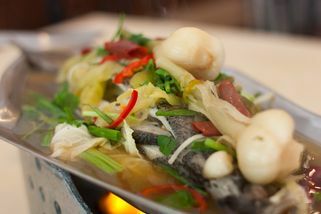 Tried the steamed fish, pretty good! 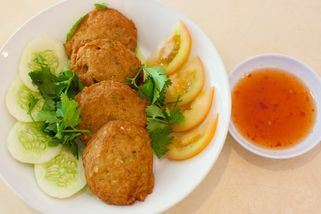 Love the fish cake here--Thai fish cake has always been my favourite.